In a world where businesses use advertisements to persuade and manipulate consumers into buying their product or service, it seems as if there would be no place for this in the church. The lingo, methods, and concepts of church advertising make many uneasy. Many fear that church advertising would diminish the means of grace or compromise the church’s integrity. The question at hand, when it comes to church advertising, is not, “Is it effective?” Instead, the question is, “What does God’s Word say?” More specifically, “What guidelines does God’s Word provide for church advertising?” Congregations must understand what principles Scripture has provided for this subject. The mission of the Church is preach the gospel. We are to seek to save the lost. Congregations focused on this mission will want to do all they can to carry out this mission. Does Scripture allow such a method to be pursued? If so, does church advertising aid us in our efforts to reach the lost? 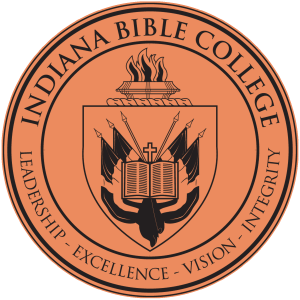 This thesis will focus on searching the Scriptures to see if church advertising is doctrinally sound, and subsequently, researching how church advertising can be done to the glory of God. Advertising is everywhere. In fact, it is nearly impossible to do anything or go anywhere without some form of advertising being seen or heard. For example, consider the potential advertisements that could be seen or heard during the first thirty minutes of your day. If you wake up in the morning by listening to the radio, you would hear advertisements during commercial breaks. If you were to read the newspaper to catch up on current events, you would see advertisements scattered throughout. (There is even a popular section of the paper specifically made for advertisements.) If you were to turn on the television to catch the weather report, you would be hard pressed to go without any form of advertising from commercials. If you were to check your email or surf the web, advertisements would plague your time spent on the computer. Moreover, if that were not enough, as you drive to work you would notice billboards made for one purpose: to advertise. Why is there so much advertising? The answer is simple: we live in a consumer-based culture where competition for our dollar is fierce. In their fight for our attention, businesses strive to create a highly desired want for the consumer by communicating their product or service to the buyer for one of two reasons: 1) to inform the buyer about their brand; 2) to persuade the buyer to choose their brand over their competitor’s brand. In the marketing process, then, communication is important to reap the benefits of both informing and persuading. Informing people about conditions and alternatives is a central element in stimulating a response. Communication is also the means to influence people’s behavior relative to the product, price, and distribution network. Without communication, marketing would be a strictly intellectual activity, lacking any semblance of practical utility and void of any widespread participation and involvement. Essentially, marketing is about the perception, communication, and the position an organization holds within its community. This would mean marketing involves more than just the product or service an organization provides; it also includes the image and perception that is perceived by the community over time. In order for everyone to be involved, they all need to be on the same page and understand how the process works. “Unlike a linear process with a beginning, middle, and end, marketing is more cyclical.” The procedures in the cycle include mission, identity, brand, strategy, and evaluation—all of which focuses on the people. And, even though it is important to know that the marketing cycle is just that, a cycle that goes around and around, it is even more important to understand the hub on which the cycle spins. The axis is the people you are in business to serve. First, last, and in between, the marketing cycle for your organization should revolve around the people you serve— not around your existing services, not around your current building or staff or board, but around your ultimate customers. When an organization thinks of marketing this way, they will want to have a team that is intentionally involved in serving their costumers, shaping their perceived identity in the community around them, and communicating in an engaging and effective manner. They will have big signs promoting their organization. They will send out ads and other literature to inform you of their product or service. They will maintain clean and well-stocked stores. They will have a friendly and hospitable staff. Of course, all of what I have said so far has been talking about marketing as it relates to the business world. However, when one considers all that is involved in marketing and what it is meant to do, it is seen that marketing is present among our congregations—whether it is intentional or not. Have you ever seen a sign with a church name and logo on it indicating when they gather for worship? Have you ever received a newsletter or pamphlet in the mail from a local congregation? Have you ever been involved in a church workday where volunteers come together to help maintain the property? Have you ever been welcomed by a warm handshake and a friendly smile at church? One vital part in marketing is advertising. Businesses market and advertise to ensure their success. If they fail to sell their product or service, they cease to exist. The same cannot be said for the Church. Although churches need to function as a business in some aspects, churches cannot link their success to advertising as businesses do. That would undermine the means of grace. However, churches can advertise in a God-pleasing way. I understand there may be skeptical responses to this statement. Before any skepticism deters you from reading my thesis, let me offer a response to a few concerns or apprehensions you may have about this subject. I am fully aware of the uncomfortable, shocking, enraging, and possibly intriguing nature of church advertisement. However, I hope to show you in the first section of my thesis the biblical principles in favor of church advertising. Understand that I am not a radical trying to push for an effective way of filling the church pews. I am not pushing for the new and modern for the sake of being contemporary. I am not watering down the Gospel. We have a message we want to share with people. Advertising is one way of allowing us to communicate that beautiful and saving message to those who are lost. Church growth approaches are insensitive to true ministry because they concentrate on number—building a larch church. There is nothing wrong with a small church. We live in a world where success is often measured by numbers—the bigger, the better. I understand this mindset. I am not seeking to measure the church’s success in numbers. I am not pushing for big churches and abandoning the small ones. However, I am for spreading the Word of God to all nations. I am for helping people. I am for living a life for Christ and sharing his love with as many people as I can. If advertising can help me reach more people to share what Jesus has done for them without compromising the means of grace, I am all in. You cannot tell me how to make my church grow. You are right. I cannot tell you how to grow your church. I do not know your situation. I will not pretend I know more than you know. I will not restructure your methods of pre-evangelism. However, I will gladly share my research about church advertising. I will share what I consider another way of casting a line into the world to fish for men. I will share what I believe is an important part of pre-evangelism. Advertising oversteps the boundary of being of the world, not just in it. Yes, advertising can cross this line. However, if one were to cross this line, the fault would be on the one who crossed it, not on the process. It is up to the one doing the advertising to remain sensitive to doing all things to the glory of God and building up his kingdom in a way that is God pleasing. With those concerns and apprehension on the table, I would like to explain why I chose this area of research and highlight why it is necessary. It seems there is a stigma tied to the idea of churches marketing and advertising. Some appear to be uncomfortable with this concept. As George Barna puts it, “Some people in the Christian community refer to the types of activities I will address as church growth strategies, bridge building, or simply church outreach and promotion. However, I call these activities marketing.” This is one reason I chose to research this topic. I wanted to explore the biblical principles of pre-evangelism to see if Scripture truly allowed church advertising to take place, or if it was simply a matter of trying to make Scripture say what some wanted it to say. Another reason I chose this topic for my thesis is because I was curious to learn about the advertisement methods that are currently being used by congregations in the Wisconsin Evangelical Lutheran Synod as well as what other methods that are available. I am exploring this topic because I believe church advertising falls within the biblical principles of pre-evangelism without compromising the means of grace. I believe there are opportunities in advertisement that are not being used that would aid many churches if utilized. I also believe there is a lack of return on current congregation advertisement methods. My intentions are to research these curiosities and notions. At the very least, I intend to achieve awareness concerning what I believe to be a lack of congregational advertising. At most, I would like to achieve a newfound desire for pre-evangelism efforts in our congregations while making them aware of the different methods of advertising that are available to us in the 21st century. First, I will explore the biblical principles of pre-evangelism by looking at the first contact of unbelievers to see what attracted them to God’s Word while by no means subtracting from or replacing the power and effectiveness of God’s Word nor the converting work of the Holy Spirit. It is essential to understand what Scripture has to say on this matter before looking elsewhere. Second, I will explore what churches are currently doing for advertisement. In order to accomplish this, I will send out a survey to 100 churches asking about their advertising. In this research, the representative who mainly deals with advertising will be participating in a survey in which they will share their awareness, knowledge, experience, use, and comfort level of available advertising methods. This will lead into researching what advertising opportunities are available in the vastly increasing technological age of the 21st century that are not being utilized by churches or that are not being utilized well by churches. I would also like to look into what could be done to stay ahead of the curve in such an intricate and ever-changing technological society. Essentially, my thesis will address the issue that at present, many churches in our fellowship are not doing everything they can to advertise. The concept of church advertising falls under the category of church marketing. Although the idea of church marketing has been around for a few years, zero books have been written on the specific area of church advertising. Therefore, in order to find material written on church advertising, it was best to gather literature that addressed the broader subject of church marketing. Much of the literature written about church marketing addressed church advertising, but it was usually nothing more than a chapter. Marketing The Church: What They Never Told You About Church Growth by George Barna, a leading scholar of church marketing, is considered to be one of the leading books about church marketing. Having graduated from Boston College, earning two masters degrees from Rutgers University, and functioning as president of the Barna Research Group, he has earned his credentials as being one of the forerunners of church marketing. The research and experience he portrayed in his book has been the backbone for many other authors. This book walks through basic marketing principles and addresses advertising near the end. It is an excellent resource for understanding marketing from a church mindset. Although there are some things you must read with a discerning eye, he usually does a good job of emphasizing how taking on this concept of marketing and applying it to churches can change your view of outreach but not doctrine. Nonetheless, it is a core book when it comes to learning about church marketing and advertising. Another book in this category of church marketing that was of great value is Marketing for Congregations: Choosing to Serve People More Effectively. A team of authors who have notable experience as church leaders and marketing experts wrote it. The book provides a thorough understanding of the role of marketing in a religious organization and covers nearly everything you would want to know about the subject. It also provides invaluable information on the philosophy of church advertising. The chapter on advertising was the most beneficial of any book. However, although the authors display a love for reaching the lost, they often misplace their trust in the means of grace. They are often driven to see success solely in numbers. Sifting through the errant theology is a must, but it is an essential read to anyone interested in learning about marketing and advertising as it relates to churches. Church Marketing 101: Preparing Your Church for Greater Growth by Richard Reising was another book that aided learning about church advertising. This book, along with Peter Brinckerhoff’s Mission-Based Marketing: Positioning Your Not-For-Profit in an Increasingly Competitive World, were most beneficial for understanding marketing as a process in which advertising is seen as vital part. Both bring a great understanding of marketing to the table. Again, one must be aware of their emphasis on using marketing and advertising as a method of filling the seats as opposed to a pre-evangelism strategy that tills the soil. The second article, A Taxonomy of Church Marketing Strategy Types by Robert J. Vokurka and Stephen W. McDaniel helped me understand marketing and provided key insights to advertising methodology. This article identified a struggle I faced while researching this topic. “Although the importance of overall church strategies has been acknowledged, there has been little published on the overall performance impact of these various strategies.” One limitation of this article is that it was limited to Southern Baptist churches, but it still provides valuable information for all denominations. One more source in which I found material on advertising was from a website geared towards church marketing called ChurchMarketingSucks.com. This site posts blogs addressing why church marketing is often ineffective. A two part blog written by Jeremy Harrison called “Church Advertising Observations Part 1: Why It Doesn’t Work” and “Church Advertising Observations Part 2: 8 Tips” tackles the issue head on by offering reasons why it doesn’t work and tips to do a better job of being more effective. Although his insights are useful, it is not necessary to include any because this thesis is written for the purpose of exposing advertising methodology and philosophy rather than telling churches precisely what to advertise or how to make their advertisements better. A different area where I could sometimes find content addressing church advertising was in literature discussing church planting or church growth. The information about church advertising in these resources was slim. The books in this category include Planting Churches Cross-Culturally by David Hasselgrave, Planting Growing Churches for the 21st Century: A Comprehensive Guide for New Churches and Those Desiring Renewal by Aubrey Malphurs, and Biblical Church Growth: How You Can Work With God to Build a Faithful Church by Gary McIntosh. All of the books in this category were geared towards numerical growth. Many of their principles behind creating such growth is flawed. They may offers some good insights every now and then, but they certainly don’t put the right emphasis on the means of grace. Finally, the last resource that was useful for understanding different methods of advertising was the “How To” Resource for the Creation and Use of Personal and Public Media tools for the Church.” This resource helped to identify all sorts of different advertising options while explaining why, what, when, and how of using such options. Although the book was written in 1998, it is already outdated because of the exponential increases of technology over that past several years. There were not many resources written on advertising in our increasingly technological age other than websites. The “help” sections on websites such as the Good Display Network, Facebook for Business, and Google Adwords are more than helpful, but there is minimal printed material on the subject. This brief literature review has helped narrow the topic of church advertising, but it has also introduced some challenges when learning about the subject. First of all, most of what has been written must be read with a discerning eye. 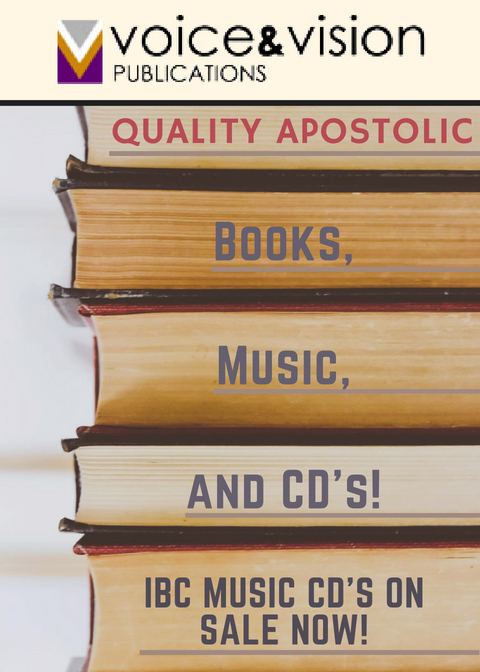 False doctrine lurks within the pages of many of these books and it is necessary to have a good grasp of doctrine, especially the means of grace, if one is to read such material. Second, not much has been written on church advertising. One sometimes has to stretch to find material that is pertinent to the subject. And finally, there is much more to be explored on the subject. The new advances in technology have opened up a whole new world of church advertising. Perhaps future theses can explore some of those avenues. The biblical principles of pre-evangelism must be looked at before engaging in any discussion about church advertising. The mission is simple: preach the Gospel. This message is the core of the Bible. It is the only message that matters. As members of the Church, we want to focus our ministries on this message. We want to preach it to the members of the congregation to build them up and soothe them with the healing balm of God’s Word. We want to comfort them with the sure hope or our salvation that Jesus won for us on the cross. However, this message is not exclusive in the sense that it is only for the members of the Church. No, this message is for everyone. 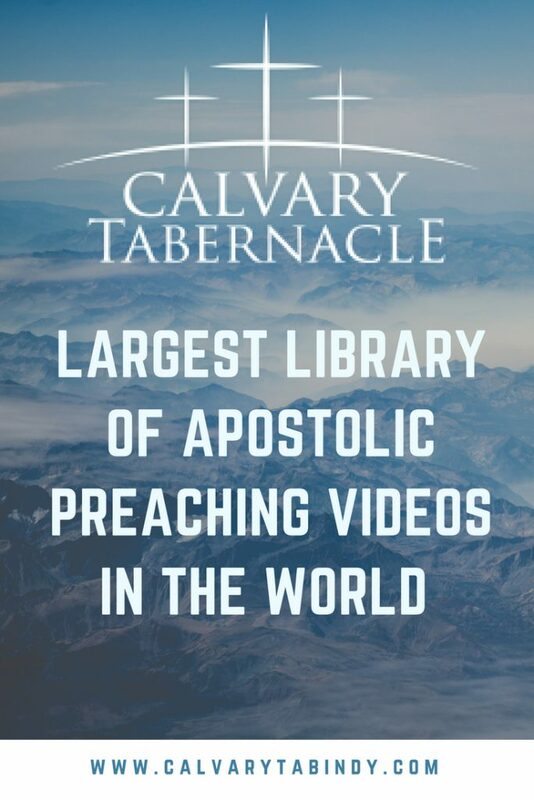 Our mission is to preach the Gospel to all people—both inside and outside the Church. The theology of this mission is not in question. The ways in which it can be carried out are. In order to discover the ways in which this mission can be carried out, we must consult the only source that speaks about the subject: God’s Word. It is no secret that Wisconsin Synod Lutherans seek to carry out Jesus’ command of the Great Commission. We know that in Matthew 28:19,20 as Jesus was about to ascend into heaven, he told his disciples, “Therefore go and make disciples of all nations, baptizing them in the name of the Father and of the Son and of the Holy Spirit, and teaching them to obey everything I have commanded you. And surely I am with you always, to the very end of the age” (See also Mk 16:15-18 and Lk 24:46-49). Jesus’ instructions to his disciples were clear: go and make more disciples. Jesus wanted them to share what he had accomplished on the cross with people from all nations. Over 2000 years have passed since Jesus spoke these words, but nothing has changed. The Church is still compelled to carry out this mission. We are still instructed to pursue the lost. The biblical principles of evangelism have remained unchanged. The same is true for the biblical principles of pre-evangelism. In Evangelical Lutheran Dogmatic V.III, Adolf Hoenecke addresses the doctrine of the call where we see the topic of pre-evangelism. Pre-evangelism is a call in the loose sense. Hoenecke does not go into detail about the call in the loose sense, but he does provide us with some insight. Pre-evangelism, therefore, is something that causes an inquiring, attraction, or incentive to get the attention of an unbeliever. Pre-evangelism can be a number of different things that prepare the soil, i.e., to create an opportunity for sharing the Good News. During pre-evangelism, nothing has been planted yet, but the opportunity has been created for the seed to be sown. We see several instances in the Bible where this occurs, many of which were listed above. Here are a few more passages that speak to pre-evangelism: Mt 5:14-17; Mt 9:1,2; Ez 37:11; Jn 13:35; Ro 12:17-21. In all of these passages, we see how pre-evangelism was used to grab someone’s attention. Essentially, pre-evangelism is all about getting a sinner’s attention. As the above passages indicate, this can be done through nature, the natural knowledge of God, natural law, contact with believers, blessings of healing, affliction, acts of love, or Christians simply letting their light shine. If this is what Scripture determines to be pre-evangelism, then one way of defining pre-evangelism would be “anything that causes a sinner to stop and think.” In addition, if pre-evangelism is defined in this way, then would not advertising fall under that definition? Yes, it would! After all, that is what advertising does, right? It strives to makes the consumer stop and think, does it not? It seeks to grab the consumers’ attention in order to inform them about the product or service or to persuade them to purchase what their advertisement is promoting. This same concept can be applied to churches through advertising. However, when advertising is done in a church, it is to be done with the awareness of the sensitivities and reservations that come from implementing such an effort. There is a real danger in abusing the biblical principles of pre-evangelism while advertising. We do not want the church to be perceived as selling something. We simply want our message to be heard. One of the avenues that creates and opportunity for the Word to be heard is through advertising. The point of pre-evangelism, and therefore, church advertising, is to cultivate the soil, i.e., to create an opportunity for the seed to be planted—for the Gospel to be preached. After all, unless people have an opportunity to hear the Word, how can we expect them to come to faith? How, then, can they call on the one they have not believed in? And how can they believe in the one of whom they have not heard? And how can they hear without someone preaching to them? And how can they preach unless they are sent? As it is written, “How beautiful are the feet of those who bring good news!”…Consequently, faith comes from hearing the message, and the message is heard through the word of Christ (Ro 10:14-17). Advertising can play a role in this process, but it is always God who comes to us with his salvation. Only because of his grace are we extended this gracious call. In Paul’s second letter to Timothy he writes, “[God] has saved us and called us to a holy life—not because of anything we have done but because of his own purpose and grace. This grace was given us in Christ Jesus before the beginning of time” (1:9). It is truly comforting to have been given this underserved gift of salvation. God has entrusted us with this gift, and he told us to share it with others. Jesus’ words to us in John 9:4 encourage us to work with a great sense of urgency when he says, “As long as it is day, we must do the work of him who sent me. Night is coming, when no one can work.” This urgency drives us to do all way can to reach the lost before time is up. We can take comfort in the fact that our job is relatively easy. We are simply called to preach the Word. We do not need to convince anyone of our faith. We do not need to convert anyone to believe. In fact, we cannot do either of those things. This is comforting because we know the power to bring people to faith does not rest on our ability. This ability of converting hearts is solely up to the Holy Spirit. It is God pleasing to take this urgency to heart and do all we can to reach lost souls. It is something that we Wisconsin Synod Lutherans find joy in doing. It is something that God has promised will not return empty. watering the earth and making it bud and flourish, so that it yields seed for the sower and bread for the eater, so is my word that goes out from my mouth: It will not return to me empty, but will accomplish what I desire and achieve the purpose for which I sent it. You will go out in joy and be led forth in peace; the mountains and hills will burst into song before you, and all the trees of the field will clap their hands (Is 55:10-12). As we consider the task at hand, we cannot help but notice that it is important; it is literally a matter of life and death. Such an important and life-saving message needs to be carried out with sincere care. As followers of Christ, we want to fulfill our Christian duty. We want to exhaust every effort to get the Word out to the lost. We want to do all we can to make sure the soil is tilled and ready for planting. This is why pre-evangelism efforts of church advertising are important. Paul understood the vital importance of this message. He did all he could to make sure everyone had an opportunity to hear the Gospel. I am not suggesting that Paul utilized church advertising as a means of pre-evangelism. However, he did exemplify the attitude Christians want to imitate as God’s servants. Though I am free and belong to no man, I make myself a slave to everyone, to win as many as possible. To the Jews I became like a Jew, to win the Jews. To those under the law I became like one under the law (though I myself am not under the law), so as to win those under the law. To those not having the law I became like one not having the law (though I am not free from God’s law but am under Christ’s law), so as to win those not having the law. To the weak I became weak, to win the weak. I have become all things to all men so that by all possible means I might save some (1 Corinthians 9:19-22). Church advertising falls under the doctrine of pre-evangelism. Scripture supports efforts that cause someone to stop and think in order to gain an opportunity to share God’s Word with them. Advertising does nothing more than offer another way to make a connection with people. These connections are made so that we can build relationships with them. People do not tend to jump right into something, especially when it comes to religion. Nevertheless, it is our job as members in the body of Christ to share the Good News. Church advertising is simply one way to form connections and build these relationships. As a synod whose mission is to seek and save the lost, it would be useful to utilize advertising methods as a way of executing the pre-evangelism work that leads to our mission of preaching the Gospel to all nations. A major part of my thesis was to conduct a survey inquiring what congregations in our synod had already been doing for advertising. I did not want to make any assumptions as to what advertising methods were or were not being used, so I thought it would be best to simply ask. I chose to use surveys as opposed to interviews and case studies because I felt a quantitative analysis was better. I created a Google Form to conduct and record the survey data. I chose this service for three reasons. First, I had previous experience with creating a Google From, so I knew it would not be too time consuming. Second, I knew that I could customize the form to ask the types of questions I wanted in the different ways I needed. Third, and this is the most important reason, I knew the charting and graphing capabilities it had in recording the responses. This visual aid is very helpful for reviewing data because it makes it easier to highlight trends, find any surprises, and form significant insights. The complete results of the survey are found in Appendix A. The research in which you are about to participate is designed to investigate what advertising methods are currently being used by church bodies of the Wisconsin Evangelical Lutheran Synod to promote church activities. The research is being conducted by seminary senior, Billy King, as a part of the senior thesis required for graduation at the Wisconsin Lutheran Seminary. In this research, you will be participating in a survey where you will share your awareness, knowledge, experience, use, and comfort level of available advertising methods. Please be assured that any information that you provide will be held in strict confidence. At no time will your name be reported along with your responses. Please understand that your participation in this research is voluntary, and you are free to withdraw at any time during this study. In the survey, I used a variety of questions that required different types of answers. Some questions simply required a “yes” or “no” answer while other questions were designed for participants to check all the answers that applied. Two sections of the survey consisted of a scale of numbers from one to ten. One of those sections measured the surveyors comfort level with using various advertising methods. The other section measured the perceived effectiveness the participants felt each method of advertising had. The last type of question I asked was short answer. A full list of the questions I asked in the survey can be found in Appendix B.
Thirty-five of the 100 congregations I asked to participate in the survey responded. In the survey, nearly all methods of advertising were included in an exhaustive list. The methods ranged from common and familiar brochures to complicated and unfamiliar mobile advertisements. Of the thirty-five participants, a meager two indicated they did not utilize any method of advertising for church activities. The next question in the survey asked the responders to indicate all the advertising methods of which they were aware. The advertising methods available for indication were print ads, news releases, outdoor ads, radio, television, video, internet, and social media. These are the main methods through which advertisers advertise. Internet ads, social media, and print ads ranked among the highest of known methods while video ads placed the lowest. The next section broke all the advertising methods into different groups, each containing the various ways of advertising contained in that particular method. For example, print ads are one method of advertising. In this method are different ways of advertising because print ads include brochures, posters, newsletters, newspapers, magazines, and phonebooks. The surveyors were to indicate which ways of advertising that were contained in each particular method they have used. Brochures ranked among the highest for print ads with thirty responders indicating their use of this technique. Magazines, on the other hand, came in dead last with only one participant who indicated using this technique. Next, the surveyors were asked to indicate if they had used news releases, radio ads, and television ads. Over two thirds of the responses indicated they had used news releases. While sixty percent specified they had never used radio ads, over eighty percent of participants recorded never using television ads. The use of a church sign racked up the highest totals of any advertising method with 32. The other outdoor ads (e.g. community posters and billboards) were below average with both having less than one third of the participants’ indicated use. Another insightful bit of information from this section indicates nine surveyors as using some other form of outdoor ad. Video ads received the lowest totals of any advertising method besides television ads. Among the various types of video ads, YouTube and Vimeo came in the highest with nine and seven participants stating they had used these instruments for advertising. The highest of these methods, YouTube, only received twenty-six percent of the responders’ usage. Internet ads were separated into several categories: website, email marketing, search engine marketing, display advertising, web banner advertising, and mobile advertising. Mobile advertising was included in this area because of the internet capabilities of smartphones. Of these categories, the use of advertising via websites ranked the highest marks with twenty-nine. The next advertising method responders were asked about is one of the newest. Social media has become a popular place for people of all ages to gather. This method was broken into for main categories: Facebook, Twitter, LinkedIn, and Foursquare. The data received from these categories only incorporated the free aspects of each social media platform. Unsurprisingly, Facebook came in first with eighty percent of the participants indicating they had used this platform for advertising. The next two questions asked if any of the participants had paid for advertising via Facebook Ads or Google Ads. Both categories received a usage rate of four. The next three questions all required short answers. For more detailed information about these responses see Appendix A. In case the provided list of advertising methods left out anything, I asked if any of the responders had used another form of advertising. One response indicated using direct mail as a way to advertise. This method should have been included under print ads, but I had failed to make that clear. Two participants indicated utilizing local fair booths as means of connecting with people. Next, I asked if there was anything their congregation does to advertise that is unique to their location. This question was followed by asking about the content that they advertised. Many of the responses included VBS, special services such as Christmas and Easter, and other special church events. The next section asked the participants to indicate their comfort level for using each advertising method. Print ads, news releases, and outdoor ads all seemed to indicate that the participants felt moderately to very comfortable using these methods. This reaction was the opposite of radio and television ads where participants felt least comfortable in using these methods. The comfort levels for using video and internet ads seemed to be more evenly spread out than the other methods while the comfort level for using social media as a means to advertise was above average. Next, I asked the surveyors to indicate how effective they thought each method of advertising was. Most of the perceived levels of effectiveness from the participants indicated to be in the middle of the road. However, print ads, news releases, and outdoor ads received the highest marks. The next two questions pertained to tracking their advertising. One important aspect in advertising is evaluating which methods are working and which are not. A little over one third of the participants indicated they kept track of their various forms of advertising. The follow up question was to ask how they kept track. The most popular means of tracking how someone had heard about their congregation was simply by asking them. The next few questions were directed towards the budget and on whom the responsibility of advertising lays. I asked if they were aware of any free advertising methods which was followed up by having them indicate what those free methods were. Forty percent knew of free methods. Many indicated the use of community bulletin boards as a free advertising option. This was followed by asking if they had a specific line in the budget for advertising. Nineteen of the participants indicated they did have money set aside specifically for this area of ministry. The average amount was between $2500 and $3000. When asked who was in charge of advertising, the results were split. Most of the results were between the pastor and some type of evangelism board or outreach team. Near the end of the survey, I asked if any of them felt their congregation was doing enough for advertising. Twenty-two of the thirty-five felt they were not. This was followed by asking about their interest in learning more about advertising. To my joyous surprise, the results leaned towards being considerably interested. The final question asked aimed to find out if there were any questions I had failed to ask in the survey. I was rewarded with some wonderful insights. One method I failed to include in the survey is one of the most powerful means of advertising, if not the most powerful: word of mouth. This is certainly a powerful tool when it comes to advertising. Nothing beats a favorable testimony from a trusted source! Another thing I failed to mention, as I indicated earlier, was mailings. Direct mailings play a key role in advertising special services and events. It often proves to be a staple in effective advertising. One thing that might not have been readily seen in the survey is how advertising can serve those inside the church just as much those outside the church. Advertising the different facets of your ministry to your own congregation is beneficial. My intentions were to understand what churches were doing to pre-evangelize the lost, but certainly communicating what is going on to your members is necessary. The survey on church advertising served its purpose. I was able to gather enough information to understand what congregations in our synod were currently doing for advertising. I gained several key insights that allowed me to conduct my research accordingly. Without the survey, I would not have known where to begin with researching my thesis. I want to thank all the participants that contributed to my research. Your input and insights directed me to the areas of advertising that needed to be explored and explained. The purpose of church advertising is not to manipulate, scheme, or promote false claims. This would break the number one rule of advertising: to never advertise or claim what you do not have. However, some would consider advertising to do such things. I do not condone these tactics for church advertising. Rather, our advertising should clearly communicate its desired intentions without using any deception. Do church signs stating the times of worship manipulate? No. Is a mailing to new movers about the ministry opportunities a church offers a deceptive scheme? No. Does a poster on a community bulletin board about a local congregation’s ESL program make false claims? No. The things a church advertises are not tricks. They are not meant to be devious. They are not meant to pull some sort of bait-and-switch. Can churches slip into this type of advertising? Yes, they can. However, any strategies that implement such deception should not be used by churches. This would ruin the integrity and morality of the church. There is a very real danger of falling into this trap. Church advertisers should be aware of this and strive to promote church activities in a clear-cut and honest way. Clear and honest advertising is the only way churches should conduct advertising. The church advertiser has a large number of methods available for conveying a straightforward message to the people. Two kinds of communication exist: mass and interpersonal. To understand communication, we have to recognize that the process can be evaluated in several ways. First, let’s understand the difference between mass and interpersonal communication. Mass communication is when a message is sent to a large audience simultaneously. There is no direct or immediate interaction with the audience in the mass process. In contrast, interpersonal communication is used in situations in which the message is directly and personally conveyed from one person to another. This approach provides the opportunity for a spontaneous response by the receiver of the message—a luxury that is not possible in the mass communication scenario. Research indicates that interpersonal communication is most effective and more likely to stimulate a personal response. Mass communication, on the other hand, boasts a broader reach and the possibility of generating a response from a greater number, although, it is likely to be less emotionally intense. The above methods of communication can be communicated in six ways. All of these ways of advertising were the ones I asked the participants in the survey to indicate if they had known of them or used them. Why and when you would use these ways depends on the message you wish to convey, the cost, and understanding what avenue of communication would best reach your audience. The second way is by using a news release. “A news release is a short story or article written for a news organization. It highlights the details of a specific event and is written in a condensed format. A news release puts a lot of information in a short article. Its intent is to ‘feed’ the media information so the media can print an article based on the news release.” This would be used to assist evangelistic outreach for special events. The next two ways are radio and television which both have similar capabilities to reach a great number of your target audience who may not be reached through other mediums. “The audiences can be enormous, especially in large metro areas, and may span all ages, ethnic and class groups.” Both can be a popular way to advertise special events. The final two ways are through video and internet. Today, most video viewing can be done via the internet, but DVDs can still be used as a way of advertising. With the advances of modern technology, the internet has become a great way to advertise. The various options in which internet advertising can be done are through websites, email marketing, search engine marketing, display advertising, web banner advertising, and mobile advertising. Mobile is included here because of the capability of smartphones. Another form of internet advertising is done through social media. Many of the options in this area are free. These ways would include Facebook, Twitter, Google+, LinkedIn, Foursquare, as well as a few others. Two of these social media entities, Facebook and Google have capabilities to use paid advertisements. A detailed breakdown of how to use Facebook Ads and Google Ads can be found in Appendix C.
Now that the kinds, types, methods, and ways for advertising have been discussed, we can explore the philosophy behind using this methodology. While explaining several of the methods above, the term “target audience” was used. This is a key term to know in advertising. It is quite simple to understand. The target audience is the people you want to reach. Determining this target audience is a key component to developing advertising objectives. The advertising objectives that need to be developed call for defining the target audience, target response, and target reach and frequency. Barna indicates that “regardless of the audience with which you are trying to communicate, or the nature of the message you wish to convey, the basic principles of communication remain the same.” Gary McIntosh adds, “A community is a mosaic of people, some of whom will be open and receptive to the gospel, while others will be closed and unreceptive to it. Faithful churches seek to discover the receptive people in their ministry area and focus their resources on them.” In other words, advertising needs to be target focused. The following hypothetical example will be used to explain how the development for defining the target audience, target response, and target reach and frequency could be determined by a congregation. A church, let us call it Palabra De Vida, is located in a community where there are many people whose primary language is Spanish. Based on the planning committee’s assessment of the market opportunity and the congregation’s strengths and mission, the congregation might consider providing an ESL program. Therefore, the Spanish speaking people in their community would be one target audience for the church. I say they are one target audience because the church could have other aspects of their ministry they wish to market to other target audiences. “Once the target audience has been identified, the marketing communicator must define the target response that is sought.” Continuing with our example, Palabra De Vida ultimately wants their target audience to become part of the church. Any member of this target audience may be in one of six consumer readiness states. Consumer readiness states consist of awareness, knowledge, liking, preference, conviction, and action. 1. Awareness. The first thing to establish is how aware the target audience is of the product (program, ministry, church, etc.) The audience may be completely unaware of the product, know only its name or one or two things about it. If most of the target audience is unaware, the communicator’s task is to build awareness, perhaps just name recognition. Even then, building awareness takes time. Palabra De Vida may not be known by most of the Spanish speaking people in the community. Their level of awareness must be determined before any other steps can be started. At this point, advertisements would be geared towards increasing the awareness of this target audience. These efforts would need to be evaluated periodically. Palabra De Vida would want their target audience to know that it offers an ESL program. If they have any other areas of ministry that would pertain to this target audience, they would want to make those know to them as well. They would design an advertising campaign for accomplishing this. A key part to this campaign would be following it up by measuring where the target audience’s knowledge of the church’s program(s) are. 3. Liking. If the target audience members know the product, the next question is finding out how they feel about it. If Palabra De Vida discovers the target audience has an unfavorable view of the church, the communicator has to find out why, and then develop a way of addressing the issue. Of course, some unfavorable feelings may be ungrounded. Not much can be done about this. However, if the unfavorable view stems from a problem with their church’s advertising, such as saying they have an excellent ESL program, when they actually do not have one at all, then the solution would be to offer the kind of program they advertise or to stop advertising something they do not offer. 4. Preference. The target audience may like what the church offers, but may prefer others. In this case, the advertiser’s job would be to build consumer preference. In this case, Palabra De Vida would be in a pickle. Advertising could still be done to promote their outreach program, and surveys could be taken to see if preferences change, but it may be to no avail. This is simply a product of the sinful world we live in. Churches can do all they can to pre-evangelize, but many of those efforts will fall short of creating an opportunity to plant the seed. It is the nature of the beast. 5. Conviction. The target audience may prefer a particular product to another, but it may not translate into a conviction about using that product. The Spanish-speaking people in the community may prefer Palabra De Vida’s ESL program but not use it. This is just how it goes sometimes. Having a great pre-evangelism program with a great ad campaign does not mean people will come to it. Sadly, this is what happens in many churches. The communicator could seek to convince the audience about the benefits of this program hoping it will eventually lead to an opportunity to preach the Word, but we cannot make anyone come to our outreach programs. However, the fear of rejection or lack of responses will not make us abandon creating opportunities for this to happen. It will simply make us want to build better programs, try different avenues of outreach, and communicate more effectively. 6. Action. This is closely related to conviction. The target audience may have conviction, but it may not cause them to act. We develop these advertising objectives and access the consumer readiness states so that we can do all that is possible to make our outreach programs work. This procedure is done to figure out what needs to be communicated to the target audience in order to get them one step closer to acting. This model assumes that persons pass through a hierarchy of states-of-readiness on the way to making a response decision to an offer. The communicator’s task is to identify the stage that most of the target audience is in, and develop a communication message or campaign that will move them to the next stage. It would be efficient if one message could move the audience through all stages, but this rarely happens. Most communicators seek a cost-effective communication approach to move the target audience one stage at a time. The critical thing is to know where the main audience is and what the next feasible stage is. Unfortunately, this procedure does not always end with our desired goal. However, it can still stimulate a receptive feeling that can lead to opportunities down the road. Unchurched people are most responsive to a change in lifestyle during periods of transition in their lives. A period of transition is a span of time when an individual’s normal, everyday behavior patterns are disrupted by some irregular event that causes stress in his or her life. Some examples would be the birth of a child, a marriage, a divorce, or a hospitalization. Those who undergo this kind of transition are more receptive when irregular events compound themselves over a short period of time. However, the greater the length of time following a period of transition, the less receptive they will be. Various advertising objectives can be developed for each of the six stages previously mentioned on the basis of whether their aim is to inform, persuade, or remind. This can be accomplished through five different styles. George Barna describes these styles and says it is up to the communicator to select which one best fits the objectives. One strategy is to give the audience a rational message. In this approach, you offer information, using data and logic to either inform or persuade. If your objective is to enhance people’s awareness, providing a rational message may have only limited impact. Nevertheless, it is a viable strategy. A second strategy is to use an emotional message. The goal with this style is to touch the receiver with an emotional appeal in church ministry; the emotions we have traditionally stimulated most throughout communications have been fear, guilt, love, and joy. By attempting to reach people emotionally, the aim is to create a response that grows from the intensity of the emotional energy that has been stirred. Although it would be the most effective style to heighten awareness or understanding, it is also useful for creating an active response. Another strategy is providing a moral message. This style would appeal to a person’s sense of right and wrong. Moral-based messages must strike a balance between sensitivity and self-righteousness more so than the other avenues of communication. These messages are often most effective for inciting an active response. However, using this approach to create awareness or understanding does not often provide an adequate response. Reward-based communications are intended to convince the receiver about the personal benefits they will accrue from an active response. These messages, tangible or intangible, are often effective for getting the target audience’s attention. This type of communication is seen in much of today’s product advertising. Reward-based messages are good for creating awareness and inducing an active response. If this style is used, it is essential to deliver on the offered reward. There is no room for false advertising in our churches. The last style includes messages that are made to change perception. People rarely enter a situation without a set of preconceived notions. These notions can be based on facts but are also based on other perceptions. The goal of this method is to shift the target audience’s already existing notions to a position that is more compatible with that of the communicator. Now that the target audience and target responses have been established, we can discuss the target reach and frequency. “Religious marketers must decide what percentage of the audience to reach with what exposure frequency per period.” We will refer one last time to our hypothetical example of Palabra De Vida. The church might decide to use direct mail as their means of communication. This option leaves a wide choice available for their target reach and frequency. Either they can choose to do one mailing to a specific group of people, or they can do two or more separate mailings within a short time frame of one another. The communicator will have to determine how much exposure is needed to created the desired response taking into account the target audiences state of readiness. One mailing could be enough to move the target audience from being unaware to aware while it would not be enough to move anyone from awareness to preference. In some cases it might be better to do one mailing. In others, it might be better to do multiple mailings. George Barna speaks to the issue of determining how frequently to advertise. “We are hindered by a problem that advertisers call ‘frequency and reach.’ This means we do not advertise frequently enough to accomplish our objective. It also means we are not reaching enough of the people in our target audience to make any meaningful impact.” Church advertisers need to be aware of the inverse as well. We do not want to be too frequent in our communications and deter our audiences away by coming across as pushy and overaggressive. One reason our communication efforts are seen this way is because of the sheer amount of advertising we are exposed to each day. Today you will be exposed to about 1,500 commercial messages. We are constantly bombarded by requests urging us to react in a prescribed manner. Many of those are prepared by advertising experts, yet only about two percent of the ads to which we are exposed ever get through our perceptual screening process to penetrate our consciousness. 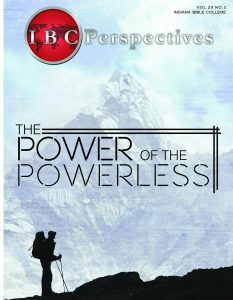 As you look at the typical church print ad, does it stand a chance of breaking hope of gripping you with such compelling information that you will change your attitudes or behavior to take advantage of this newfound information? Few church leaders understand enough about advertising and communications to design a useful ad. Essentially, we are dabbling in a communication from which we know little or nothing about. Yet we squander our limited, precious resources with a second thought and rely on our amateurish approaches to reach out audience. Another reason church advertisements are seen this way is because we do not have the funds that other organizations have. Business will advertise and promote because the success hinges upon their ability to drive customers to buy their product or service. Bigger budgets mean they can do better marketing and make better advertisements. This leads us to the next topic of determining the budget. Churches who want to pre-evangelize to the best of their ability need to budget accordingly. I understand that every church has many lines in the budget already, but it also is important to include a specific line for advertising. In addition to estimating the total amount of the required advertising budget, determination must be made regarding how the budget should be allocated over different market segments, geographical areas, and time periods. In practice, advertising budges are allocated to segments of demand according to their respective populations or response levels or in accordance with some other indicator of market potential. In some cases, this judgment comes from experience—trial and error. These estimates of what works best with specific groups will help determine where to spend more money. Doing a bulk mailing to every home in census tract A vs. census tract B makes sense if it is believed there are more potential prospects in census tract A, and if there is reason to believe these families will respond favorably to the communication of the product designed to reach this target audience. Geodemographics are a great tool for helping determining these assumptions. The ideas involved in church advertising involve more than determining the target audience, picking which method of advertising would work best, and creating a message that motivates people to respond. Church advertising is a means of pre-evangelism that seek to cultivate the soil to gain an opportunity to share the gospel. In order for church advertising to be most effective, churches will recognize this pre-evangelism tool in its broader context of church marketing. The philosophy behind church marketing is one centered on the people the church intends to reach based on their needs. In order to do this, the church will research their market, that is, the community in which they exist, to discover what the community wants and needs. Discovering what the community wants and needs is vital to creating the local mission statement of the church. Once this discovery has taken place, the church can move to creating a congregational mission. This mission states the long range plans the church has for their future. The congregational mission will be accomplished through reaching the predetermined congregational goals. These goals will serve as stepping stones that build upon each other to carry them to fulfilling their congregational mission. Congregation goals will include the specific programs, actions, and events, which will be carried out by the congregation. Once you know your market, know what they want and need, and know what you can provide for them as a way of pre-evangelizing, you can now carry out making your community aware of the wonderful opportunities you offer. In other words, once you have laid the foundation that church marketing provides, you are now ready to advertise. This is when you can implement that various strategies involved in pre-evangelizing. Congregations will use their resources and knowledge of their community to communicate what they offer to their target audience. Of course, this must all be done with the proper mentality. Church advertising can be a great tool in communicating with the public, but it must be understood that this tool serves a limited purpose. This tool is meant to grab the people’s attention or cultivate the soil so that the seed can be planted, that is, so that they Word of God can be preached. Church advertising does nothing to convert sinners. It has no power to save lives. It cannot be used in place of the means of grace. Only the means of grace have the power to do these things. However, church advertising can be used as a way to create an opportunity for people to hear and receive the means of grace. If church advertising is a tool to bring people to hear God’s Word, then why would we not want to use it? If we are a church that has been given the command to “make disciples of all nations,” then why would we not want to exhaust every means possible for cultivating such an opportunity for this to happen? As congregations go about their ministry to serve the Lord and do everything to glorify his name, they will have a desire to share the wonderful message of God’s mercy and grace with anyone and everyone. They will want to have beautiful worship services that give glory to God in the highest. They will want to have excellent bible studies, outreach programs, and events to learn more about their God and provide opportunities for others to learn about their God. They will want to do everything they can to make their church a place that focuses on being all things for all people, building up the body of Christ, and welcoming others to be a part of the family. • Barna, George. Marketing the Church: What They Never Taught You About Church Growth. Colorado Springs: NavPress, 1988. • Brinckerhoff, Peter C. Mission-Based Marketing: Positioning Your Not-For-Profit in an Increasingly Competitive World. Hoboken: John Wiley & Sons, Inc., 2010. • “Display Network—Google Ads”, http://www.google.com/ads/displaynetwork/. • “Facebook for Business”, http://www.facebook.com/business/resources/. • Jeremy Harrison, “Church Advertising Observations Part 1: Why It Doesn’t Work” [article online] (accessed 5October 2014); available from http://www.churchmarketingsucks.com/2012/10/church-advertising-observations-part-1-why-it-doesnt-work/; Internet. • Jeremy Harrison, “Church Advertising Observations Part 2: 8 Tips” [article on-line] (accessed 5 October 2014); available from http://www.churchmarketingsucks.com/2012/10/church-advertising-observations-part-2-8-tips/; Internet. • Getz, Gene A., Joe L. Wall, Charles R. Swindoll, and Roy B. Zuck. 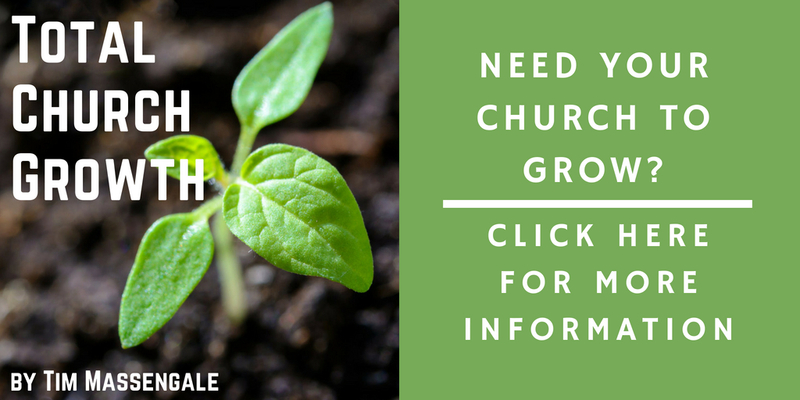 Effective Church Growth Strategies. Nashville: Word Pub., 2000. • Malphurs, Aubrey. Planting Growing Churches For the 21st Century: A Comprehensive Guide for New Churches and Those Desiring Renewal. Grand Rapids: Baker Books, 2004. • McIntosh, Gary L. Biblical Church Growth: How You Can Work With God To Build a Faithful Church. Grand Rapids: Baker Books, 2003. • Ogletree, Thomas W. “Telling Our Story: Can Marketing Help Us?” Quarterly Review (December 1,1995): 337-352. • Reising, Richard L. Church Marketing 101: Preparing Your Church for Greater Growth. Grand Rapids: Baker Books, 2006. • Shawchuck, Norman, Philip Kotler, Bruce Wrenn, and Gustave Rath. Marketing for Congregations: Choosing to Serve People More Effectively. Nashville: Abingdon Press, 1992. • Vokurka, Robert J. and Stephen W. McDaniel. “A taxonomy of church marketing strategy types.” Review of Religious Research (December 1, 2004): 132-149. • WELS Evangelism/Mass Media. Media Handbook: “How To” Resource for the Creation and Use of Personal and Public Media Tools for the Church, 1998. Are there any other methods you use for advertising? Give-a-way cards advertising the next sermon series or special Holiday service. Partners leave them (with a good tip) when they pay for their meal. Through our newspaper – they are going to help us get out 8.5 by 11 full size, full color, two-sided flyers for a fraction of the price. This Christmas the other WELS church in our area and us are each taking a side and going to send out 80,000 flyers – the cost will be $1,100 for each church. As the District Evangelism Coordinator, I am working this angle with the BHM and CoE already. The program starts with Gannett, who owns our local newspaper – but since Gannett owns newspapers across the US, many more congregations should be able to benefit. The big thing now is sending out postcards (about 22 cent each)… this will be about 1.3 cents a piece. New Movers subscription. Booth at the county fair. Indicate any advertising that is unique to your location. Our neighborhoods in our local subdivisions offer a free community newsletter/magazine style booklet once a month. Churches can put free paragraphs in advertising events. If you want pictures and specialized text, you need to pay for an actual ad. We just do the free option. We rely a lot on word of mouth, and people bringing relatives and friends. We have only a budget of $500 for advertising annually. We invested in a large, full-color LED sign for about $50,000 considering we are on one of the major roads in town. One outreach effort we’ve participated in for the past few years is our neighborhood “Night to Unite” (National Night Out) on the first Tuesday in August. We have a free cookout on our church grounds and invite our immediate neighbors. We get a bouncehouse for the kids. This last time we had a DJ. There’s no presentation of the gospel, but the invitation and the activity have resulted n visitors from the neighborhood at our holiday services. We also just became our local precinct’s voting place, which gets people through the door. We are able to put a flyer in every public grade school. We use this to promote our Easter for Kids, Christmas for Kids, Harvest Fest… usually between 5000 and 8000 flyers are sent home this way. The school district approves this – as long as we have their disclaimer on the bottom. What have you advertised for your church? Christmas and Easter worship services. Church picnic and outdoor concert series. Vacation Bible School. Concerts that we’ve hosted, holiday services, etc. Special services, parenting seminars and sermon series. VBS; Christmas Eve Candlelight Service; Easter. All you mentioned plus Christian concert appearances. Soccer Bible Camp, Christmas for Kids; Christmas Eve services (sometimes the two Christmas events go together); Easter for Kids & Holy Week services. Do you have a method for tracking your advertising effectiveness? If so, what is(are) your method(s)? We ask people who come how they heard about the event. Google analytics–when an ad goes out, you can watch to see if there is more website activity. Usually we get a small bump. A question on the Christmas & Easter for Kids registration sheets that asks how people heard about our events. We may ask people how they heard about our event. We also have them indicate on the registration form. It is difficult to rate effectiveness. If the add is focused on what the church is about, the Word of God/the proclamation of the Gospel than in a sense it is always effective. If the add is for something ‘fun’ to ‘market’ the church and try to ‘hook’ people into coming than it is simply based on numbers and could be determined as ‘ineffective’ or ‘effective’. See if any body new comes to worship services. We ask people receiving our mailings if they remember them. We also get feedback on how many hits on our website. When we host events or I greet guests, I always ask how did you hear about us, or what brought you here today. not for many who come, we ask how they heard of us… also the website tracks hits… the flyers in the schools – we know where the kids are coming from. Are you aware of any free advertising options offered to churches? If so, what are those free advertising options? Just community pages in the paper. our advertising through the school flyers is free. Many of our stories in the paper are free. We get a lot of publicity since we are in a smaller town. Word of mouth is the best advertising for our church, school, and ECLC. People tell their friends and family. A local business magazine here will include a listing for your church at no charge. “the Patch” It is online community “billboard” for posting information about upcoming events. Local Christian radio apparently offers churches the opportunity to air their activities. People who listen to Christian radio really aren’t in our target audience, though. Do you have a specific line in the budget set aside for advertising? If so, and if you are willing, please indicate how much is in your budget for advertising. Each event coordinator can use part of budgeted money for an event on how they want to advertise. It is part of the outreach budget which is based on 4 large mailings (printing postcards and paying postage), an outdoor advertising campaign, and miscellaneous expenses that come up for special events in a mission congregation. $10-$20k. $500 – that does not include our budget for Soccer Bible Camp. I am not sure at this time. We just started a marketing group, specifically structured for our school. Otherwise the budgeted amount varies with the activity we plan to do each year. Started with $10k. Advertising is the responsibility of the evangelism committee. They use a portion of their budget for it. However, this year the evangelism committee will be requesting special donations from members specifically for an advertising campaign it has developed. Who is in charge of advertising? Pastor mostly. Try to solicit other peoples ideas as much as possible. The Board of Evangelism works with the Pastor and members of the congregation who are in public media. We are blessed to have two men and five women who work in the local media (TV and radio). Evangelism Committee in conjunction with pastors and principal. What should I have asked that I didn’t that you believe is important to my research purpose? Does advertising actually serve the gospel, or are we just trying to be more of a “player” in the church marketplace? Advertising is one of the more expensive items in a church budget. Is that wise stewardship of our limited resources, especially considering the best “advertising,” by far, is and always has been word-of-mouth? How often does church advertising slip into manipulation, or a sort of spiritual bait-and-switch? An interesting and timely article on the subject: http://steadfastlutherans.org/?p=38406 To speak to the question above, it isn’t that we don’t want to learn anything more about advertising, however we constantly get bombarded with ad agencies asking to serve us. We know what we want and need to do, we just need the financial support to make it happen. Blessings on your research! The relative effectiveness between advertising and word-of-mouth from current members/attendees. Blessings on your project, brother! Do you feel that the money you spend in advertising the gospel is worth it? -because it is. How much time is spent? – If it falls to the pastor (in a small mission congregation like mine), it can be challenging to organize event, plus do the advertising. How are graphic advertisements put together? We use Adobe Illustrator to make professional looking ads in house. It’s time consuming, but they look very nice. And it’s much cheaper. You didn’t ask about mail out postcards (like the Christmas ones put out by Jon Hein) – we can’t afford that because of the high cost in Canada to blanket 10,000 homes. That is effective for some events like Christmas for Kids; Soccer Bible Camp, for us–but rarely if ever for worship. I can think of only 2 people to ever come worship with us because of a mailer card. My thought is: everything works, nothing works well. So we have to pick and choose based on cost, time, and the particular event we’re advertising for. A refinement of what you mean by effectiveness would perhaps be helpful. Do you define effectiveness by how broad the reach is? Do you define effectiveness by how many people show up on a Sunday morning as a result? Do you define effectiveness as the level of “buzz” it creates in the target community/audience? Advertising to the community is one form of advertising. However, when a congregation becomes very large (ours is 750) there needs to be an advertising vehicle within the congregation. There needs to be something more effective than the bulletin announcement. Facebook helps, but there is a generational divide in that form of advertisement. From what I have gathered from your questions, you are not thinking about the internal advertising. That would be more appealing to me. Who are you trying to reach? Advertising needs to be targeted to your culture and those in it who are far from Christ. Don’t pre tent that they think like Christ followers or 1950’s Lutherans. I’m not sure, Billy, how much a pastor’s age and familiarity with social media would affect his responses to some of your questions. I’m 55+ and don’t do Facebook or another form of social media. I’d be curious asto how much younger pastor do use them and what sort of results they feel they’ve had. Blessings on your research project. Advertising is about connecting with people and creating relationships. If you have a solid, well-run, Biblically-based, gospel-centered ministry at church, school, and ECLC, the word will spread, as it is now about our ministry, and people will notice. Equipping members with not only the knowledge, but materials so that they can be walking billboards, so to speak, is very important. We have found it to be more effective in connecting to the community and to individual souls than any other method. At the same time, we don’t let other methods fall by the wayside because they may be another reminder to people who have already heard about our ministry. Again, we are a smaller community of about 5,500 people. The method and means of advertising may vary greatly depending on the area and the culture. Ask questions about size of town, place in the country, culture, size of the congregation and/or school. One means of advertising may not work in another place for many different reasons. But the point of all is to connect to people so we have an opportunity to proclaim the gospel to them. Blessings on your work. what about direct mailings or literature drops? The most common “advertising” I think churches do…word of mouth and door to door flyers, invitations. You might have explained what you meant by comfortable in your ratings; That I feel trained or equipped; or that I might have a spiritual issue with advertising. Some of the questions didn’t apply to me, but there wasn’t an option. Hope it was helpful. Would be glad to hear what you discover and have to share. Blessings! The survey was fine. I am uncomfortable with a survey like this. The church isn’t to ‘advertise’ but to proclaim the Gospel. People inviting people (whether they have known them a long time or just met them) always works the best. While some will come because you promoted your event, the return rate is significantly higher on FRAN outreach than any advertising method. A evangelistic congregation which wants to reach out aggressively will do both. Community opportunities – block watch, business district, etc. 1) Do you advertise church activities? 7) What have you advertised for your church? 10) Do you have a method for tracking your advertising effectiveness? 11) If so, what is your method(s)? 12) Are you aware of any free advertising options offered to churches? 13) If so, what are those free advertising options? 14) Do you have a specific line in the budget set aside for advertising? 15) If so, and if you are willing, please indicate how much is in your budget for advertising. 16) Who is in charge of advertising? 17) Do you feel your congregation is doing enough for church advertising? 18) What should I have asked that I didn’t that you believe is important to my research purpose? There are over one billion people on Facebook. Many people use it every day, but some studies show that young people are drifting away from it because it isn’t “cool” anymore. However, for now, it is still a social media juggernaut, so it would be wise to take advantage of their cheap advertising capabilities. First you build your Facebook page. For a church, you have to use a page rather than a profile according to Facebook’s rules. You want to use a unique cover photo and your church logo as the profile picture so people can easily identify your church. Engage people with your posts, pictures, and all that good stuff. Facebook Ads come into play when you want to get the word out about your church, its events, or boost your page’s popularity. There are several different categories you can advertise depending on what results you are looking for. You can advertise for page post engagements, page likes, clicks to website, website conversions (ads that promote specific actions for people to take on your website), app installs, app engagement, event responses, or offer claims. You can use up to six images to create ads in your campaign at no extra cost. The images you choose have a big impact on how people respond to your ads. Facebook will track the engagement of each ad and use the ones that perform best to optimize your results. Once you have chosen the images you want to use for each ad, you can choose your target audience. There are several different factors that go into choosing a target audience. For most businesses an ad is more likely to perform better if it’s displayed to the people who are most likely to be interested in their product or service. When targeting each ad to smaller, specific groups of people at one time you’ll be able to customize your ad so it’s more personalized and appealing to the audience they’re trying to reach. For example, if they are a children’s toy store located in Springfield, they may want to target people who live in that city who are parents. This may narrow down their estimated audience, but it helps them make sure that the people seeing their ad are more likely to connect with them and turn into customers. Some of those factors for choosing a target audience can be carried over to a church, but not all. Simply put, some “business-like” thinking can be carried over when it comes to church advertising, but you have to keep in mind the goals of the church’s advertising as opposed to the goals of a business’s advertising. The pricing of Facebook ads is based on an auction system where ads compete for impressions based on bids and performance. When you run your ad, you’ll only be charged for the number of clicks or the number of impressions your ad received. You can estimate the cost before you create your ad by looking at what Facebook recommends you bid for each click (CPC) or thousand impressions (CPM). Based on this estimate, you can determine how much you wish to spend per click or per thousand impressions. You can multiply that number by the number of clicks or thousand impressions you wish to receive each day to determine your approximate daily budget*. *There are two ways to budget your spending. 1) Daily Budget: You can set your daily budget to a specific amount of dollars to spend per day for however many days you want. The amount that you’re charged each day will never exceed the daily budget that you set. 2) Lifetime Budget: Lifetime budgeting is similar to a daily budget, but instead of setting an amount to spend per day, you set a lifetime budget to spend across the finite lifetime of the campaign. Facebook will automatically try to spread your spend out evenly across the entire period of time that you’ve selected. One benefit of lifetime budgeting is that our system will also automatically pace your ad spend to make the most of your budget. For example, if you specify $100 USD to be spent for a 10 day campaign, each day will need to spend $10/day. If the campaign only spends $8 on the first day, the system will try to make up the missed amount at a later date within the campaign. If you’re advertising an external website or if you have chosen clicks as your objective, you will be bidding on a cost per click (CPC) basis. You won’t be charged for your ad or sponsored story if you chose CPC pricing and it doesn’t receive any clicks. If you choose a different objective for your ad or sponsored story, you will pay for impressions (CPM). You will not be charged if you choose CPM pricing and it doesn’t receive any impressions. Facebook’s billable day is on a per calendar day basis and not on a 24 hour period. Facebook Ads start running at 12:00 AM on your specified start date and stop running at 11:59 PM on the specified end date. For example if your campaign is set to run from January 1 at 9:00 AM to January 2nd at 9:00 AM with a daily budget of $5 you may be charged up to $10 for this campaign. The billing section will list all of your charges organized by month. Next to each charge you will see the payment method used for that particular charge. To see a more detailed breakdown of each credit card charge, click on the transaction number next to the charge you’d like more info about. If you haven’t been charged yet, you won’t see any info on your Billing Summary page. People already look everything up on Google anyway. With AdWords Express, you can help these people find our church by advertising on Google and Google Maps. related search phrases. After the initial setup, AdWords Express manages your ads automatically. 2) Avoid indirectly related categories: Avoid a category that isn’t directly related to your church. While a church with an elderly congregation might want to reach out and attract parents of young children, the church shouldn’t advertise about their parent friendly and youth engaging congregation if they aren’t that type of congregation and don’t have that environment. The church might end up finding parents looking for a church emphasizing children’s ministry, but nothing happens with those parents because they congregation isn’t what they advertised. The church would have ended up paying for clicks from people looking for something different. Describing your church accurately helps attract users that are interested in exactly what your church provides. 3) Create separate ads: You can always run ads for multiple categories by creating more than one ad. You can even allocate more of your advertising budget to one of your ads if you want to highlight that aspect of your church. If you’d like to advertise different aspects of the church, you can create multiple ads, and specify a different category and budget for each. For example, you might want to create a general “church” ad, but also create an additional ad for whatever event you have coming up (e.g. Christmas, Easter, VBS, and etc.). If you have multiple ads, you may choose to devote more of your budget to one ad, or divide up your budget evenly. Keep in mind that your overall AdWords Express budget is the combined budget for all of your ads. For example, if you have three ads and set a daily budget of $10 for each ad, your total budget will be up to $30 per day. 4) Be selective: While Google may suggest several categories based on your local listing, you know your church best! Feel free to ignore suggestions that don’t work for your church. someone clicks your ad, and you can edit your ad or cancel your advertising at any time by visiting your AdWords Express account. Headline-Your headline is the blue text at the top of the ad. When someone clicks the ad headline, they’ll be taken to the website that you’ve entered. Ad text- Showcase your church’s main selling points by describing your products or services, or include a special offer for customers. Website URL (link)- We’ll display the website URL of your church (whether that’s your website or Google+ Local page). You can use different URLs for each of your ads. Map pin- The blue AdWords Express pin may appear in your ad for customers located near your church. If someone clicks the blue pin, they’ll be taken to your business location on Google Maps. Contact info- Your phone number will be displayed in your mobile search ad and Google Maps ad. If you choose to show your address, Google will display the address in all versions of your ad. They’ll also display your phone number in your desktop search ad. If you’d prefer not to show your address in your ad, edit your ad and uncheck the “Show business address” option. Stars and reviews- If you have reviews on your Google+ page, they may also appear in your ad. Question 1: What do I have to offer? Question 2: What do I want to accomplish? Identify your main advertising goals and what you’d like to accomplish with your ads. Question 3: Who are my customers? Describe your customers, breaking them into different groups if you have different customer types with unique goals and needs. Do you offer special menu items? A large selection of products? Tell people! Highlight features that make your business stand out from the competition. If you have something special to offer, make sure your customers see it. People are usually searching to make a decision about something. Give them what they need to help make their decision. Are you selling? Tell them they can buy. Are you offering? They want to receive. Strong verbs like Call today, Purchase, or Make an appointment tell your customers what they can expect to do when they see your ad. This can catch the attention of the people who searched for words related to your business, and it shows that your ad is related to what they want. Make sure the promotions or products in your ad are also mentioned on your website. If visitors don’t find what they expect to see when they reach your site, they may leave. Polish up your ads by double-checking your spelling and grammar. Fill in both description lines, and try capitalizing the first letter of each word in your headline to draw attention to your ad. The above article, “Communicating With the Public: Church Advertising Methodology and Philosophy” was written by William R. King. The article was excerpted from Wisconsin Lutheran Seminary on February 2015.